If personal memory is false, what happens when you try to construct a memory of something that you don't remember but should--that you desperately want to remember? 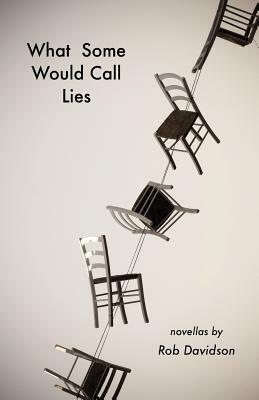 WHAT SOME WOULD CALL LIES is a collection of literary novellas meditating on life, art, and the vicissitudes of memory. The complete manuscript includes two novellas. "Shoplifting" is the story of Monica Evans, an aspiring author, a young mother struggling to raise a toddler, a neglected wife juggling a long-distance marriage, and a woman grieving her sister's death. In an attempt to come to terms with this most recent loss--and to jump-start her stalled artistic life--Monica decides to write her late sister's autobiography in the first person. This decision angers and confuses some readers (including her mother), but it pushes Monica toward healing. Reminiscent of the work of Alice Munro and Lorrie Moore, "Shoplifting" is by turns witty and wistful. Employing a touch of metafiction, the story raises real questions about memory, authorship, the ownership of stories, and the many ways we steal from others--and ourselves.In "Infidels," an unorthodox substitute teacher awakens sixth-grader Jackie Rose's floundering sense of focus and ambition. At the same time, an alluring older girl initiates him into the world of desire and longing. Meanwhile, Jackie's parents are moving toward an inevitable separation, and Jackie will face hard choices. Set against the backdrop of an upper Midwestern childhood in the 1970s, steeped in the lingering anxiety of the Cold War and the comforting nostalgia of pop radio, "Infidels" is a classic coming-of-age story with an unforgettable, heart-breaking ending. Told in a reflective, lyrical voice similar to Richard Ford (Rock Springs, Wildlife) and Alistair MacLeod (Island), this is a story with timeless appeal written in polished and enduring prose.